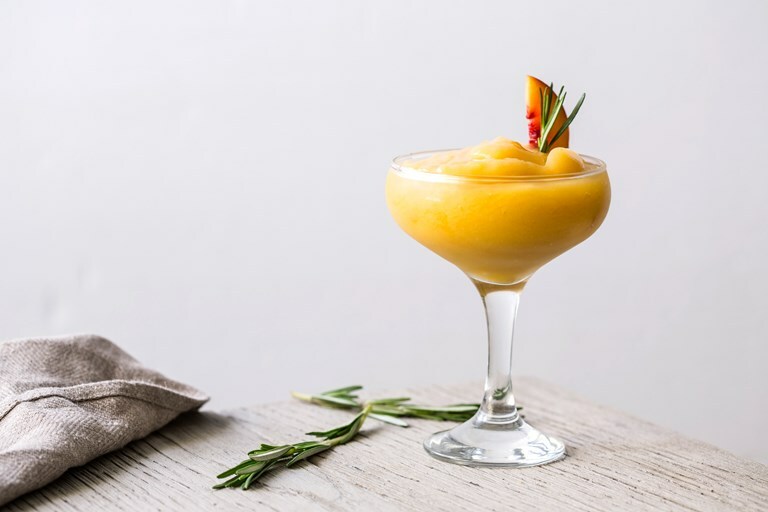 This quick and easy frozen peach margarita recipe makes a delightfully refreshing summer cocktail. Naturally sweet thanks to the use of super-ripe peaches, this is elegant tipple is perfect for serving up at summer barbecues. As barbecue season nears, fire up the grill and switch on your Vitamix. This frozen margarita is perfect to get the party started. As well as making this with tequila, you could also try it with gin. Fresh basil works really well as an alternative to the rosemary. This cocktail is made in a Vitamix S30 for speedy, convenient blending.